The KSB Group has bought the US pump service and sales company Dubric Industries Inc. 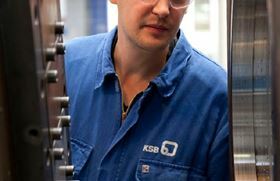 The acquisition extends KSB’s service network in the highly industrial US Midwest. Based in Comstock Park, Michigan, Dubric Industries specialises in servicing and selling pumps, other rotating equipment and related spare parts. The company now operates under the name KSB Dubric Inc.